Dragonlance: The Legend of Huma. Kaz the Minotaur. Dragonrealm: Firedrake. Ice Dragon. 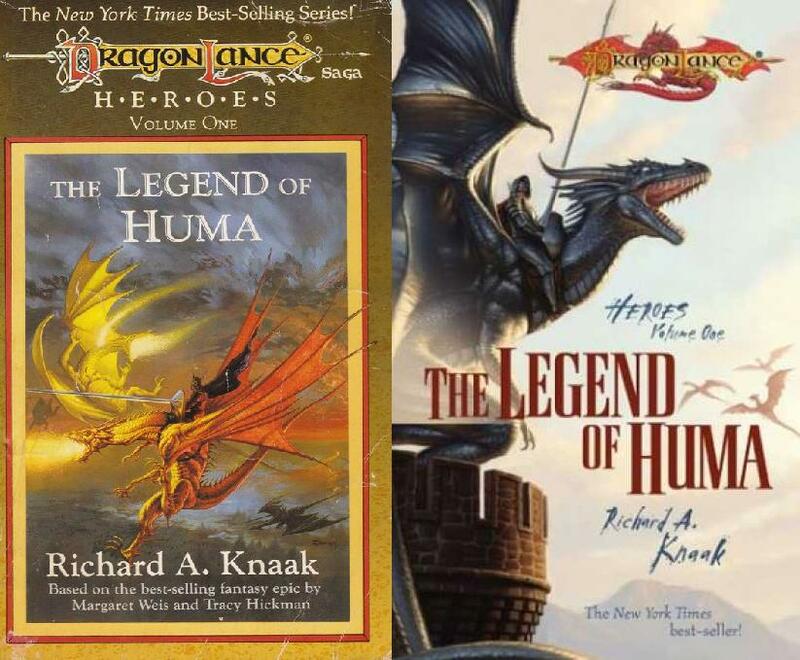 Starting in the late 1980s and running through today, Richard A. Knaak, has written for a variety of fantasy worlds from his own settings to Dragonlance, Warcraft, Age of Conan, and more. He is best known for those first two Dragonlance books – Huma and Kaz – as they fleshed out key histories for the world of Krynn. Despite his good work (not to mention that by Weis and Hickman and Niles and more), Wizards of the Coast ceased publishing new Dragonlance prose novels in 2010 leaving an abyss that needs to be filled. 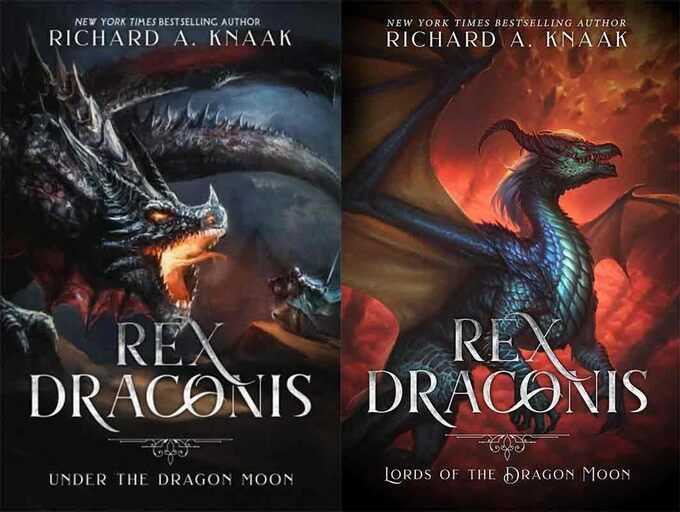 Enter Richard A. Knaak’s Rex Draconis, a fantasy series that is being used as the basis for a D&D 5e and Pathfinder 1e setting. 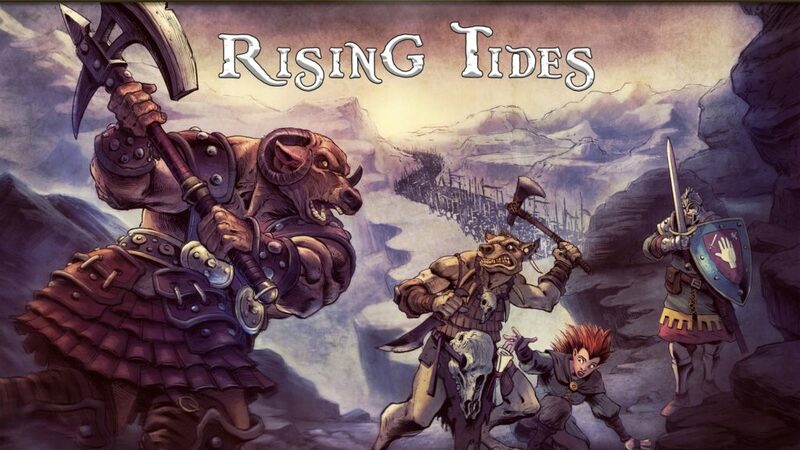 In this interview, Richard A. Knaak, along with game designers Phil Beckwith and Micah Watt, discuss what to expect from this Kickstarter and Rex Draconis RPG – Rising Tides. 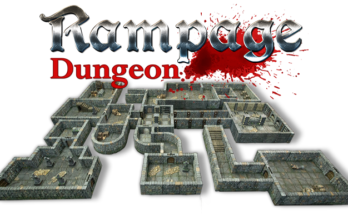 EGG EMBRY (EGG): Thank you for taking the time to discuss the campaign for Rex Draconis RPG. 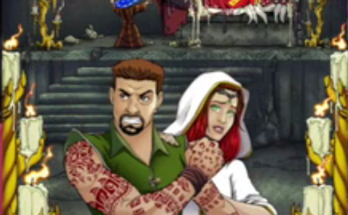 Let’s start with the obvious, what is Rex Draconis? What’s the Kickstarter for? PHIL BECKWITH (PB): Ah, the important questions first! Rex Draconis is a brand new novelized setting from Richard. When Richard approached me to create the RPG content (D&D and Pathfinder) for the setting, alongside the novels, I knew that this would need a Kickstarter campaign to help fund the artwork, editing, production, and cartography costs that a product of this magnitude demands. 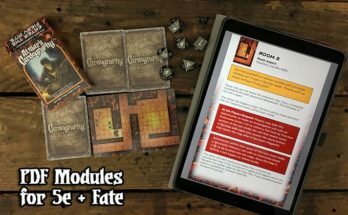 EGG: This crowdfunding will create the rules for the setting and an adventure in both D&D 5e and Pathfinder 1e? What made those two systems right for the world of Tiberos? Micah Watt (MW): In truth, they are the most popular systems at the moment with broad appeal. You could argue the benefits of one system over another, and there are many worthy systems out there that aren’t d20 based, but D&D and Pathfinder tend to be the easiest to pick up for new players and have the widest market of the systems available for 3rd party development. It’s not out of the question that if we have success with Rex Draconis in these two systems, we may see conversions into other systems in the future. EGG: The book introduces races that, either, do not exist in 5e and Pathfinder, or are not quite the same version (such as the minotaur). What races do you think are going to wow the gaming table? Richard A. Knaak (RAK): Well, naturally, I like to think that the minotaurs will certainly catch people’s attention. We’re not going to learn everything about them at once, so gamers will get some different aspects to the adventures as time goes on. I think the Fafni and Afafni — the dueling races of dragon folk (not to be confused with actual dragons, by the way) — and their machinations will also intrigue gamers. In addition, we have the savagem, canine wheyr and the mischievous but prickly kwillum to add depth. Will each of the characters from the novella be recreated as an NPC? Can you share any surprising classes or features for them? PB: Some of those NPCs, absolutely. We already have encounters for fan-favorite gnome-raised-dwarf, Esc Irontoe, written up, among others. Not all of the NPCs will appear in the first adventure, but any chance that we have to logically fit in established NPCs, we will. MW: I’m not sure if we’ll have any surprising classes particularly, though you might find some surprising or novel twists on established classes. Esc Irontoe, for example, has a ‘tinker’ style ability that makes him very versatile. Other than that, the characters in Rex Draconis tend to lend themselves to adaptation to preexisting classes pretty well. We might take a run at getting a balanced Tinker or Artificer style class in the future, but not for this first Kickstarter. EGG: Will this project cover any story information that is not in the current novella, Rex Draconis: Under the Dragon Moon (Hydra Publications)? RAK: Yes. 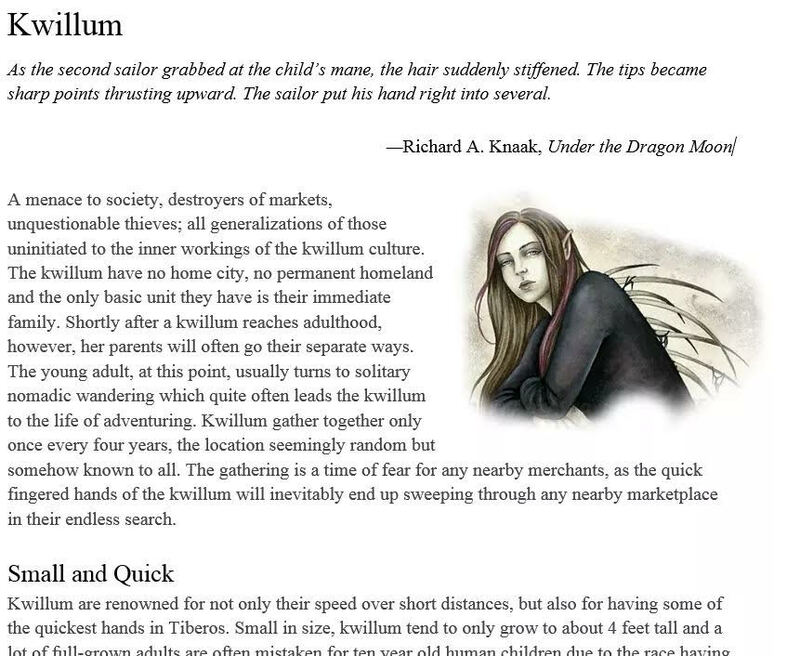 There will be some elements tied into the stories but they aren’t mentioned yet in Under the Dragon Moon. Discovering new things is always fun, so having elements appear in the game material prior to any story will keep things lively for those playing. EGG: The opening book deals with ship battles and [***MINOR SPOILER***] a steampunk vehicle. Are you planning to add vehicle and vehicle combat rules to Rex Draconis RPG – Rising Tides? MW: There is the potential for at least one ship battle in the first adventure, and certainly as we move deeper into the story and the greater world conflict we have to consider this will be a likely, if not regular, event. Pathfinder has fairly extensive vehicular combat rules, while D&D is pretty light on the subject. I think it’s likely we’ll try to have a ‘cinematic’ handling of this early while looking to address the vehicle combat rules in either later adventure installments, or more likely in the future campaign setting guide. We want to be very careful not to bog the play down by heavy rules, but anything we do needs to have meaningful options and actions for players. 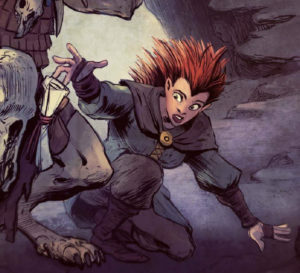 EGG: The Kickstarter for this campaign describes Rex Draconis as the “the spiritual successor to Dragonlance.” Some who do not know your work might not realize the Dragonlance pedigree you bring to the table. Roughly how many Dragonlance novels (standalones and trilogies), as well as short stories, have you done? RAK: I believe I wrote 11 novels and even more shorter pieces. In addition to The Legend of Huma and Kaz the Minotaur, for which I’m best known, I wrote Land of the Minotaurs, The Citadel, Reavers of the Blood Sea, and the two trilogies – the Minotaur Wars and the Ogre Titans. I was in virtually every anthology – I think I missed one – and contributed to some of the reference books. EGG: One complaint about Dragonlance as an RPG setting is that, because the central stories were very detailed, they did not leave a great deal of room for roleplayers to have a significant impact. 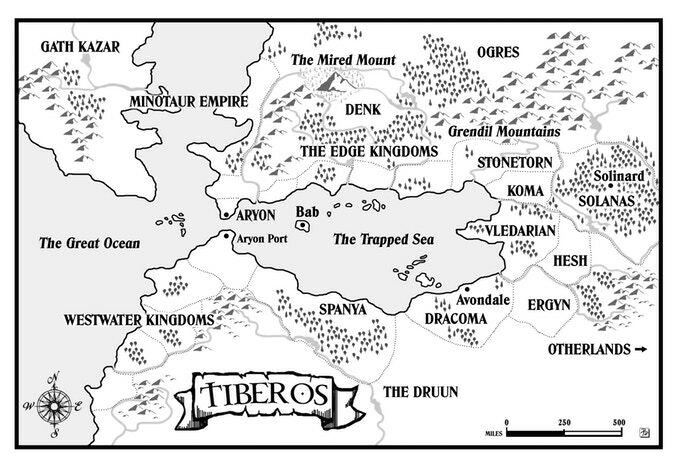 Do you see there being more “room” in the novels and world of Tiberos to have epic adventures? PB: Absolutely, and this was something that we were aware of from the outset. Another thing that has been a complaint about the original DL series adventures was that, for the most part, these were direct recreations of the novel lines (or vice versa). This is something that we have decided to combat by setting the adventures, firstly, as a prelude series to the main novel story arcs. Because the present day setting is against a backdrop of war, there are many story threads afoot, the one in the novella is just one of those threads. There are many more stories to tell in Tiberos during this time period and Rising Tides kicks off one of them. EGG: Rex Draconis is not Dragonlance, but it has some moments in common (sword and sorcery, Krynn-analog minotaurs, three-ish moons, it will be an RPG using D&D rules). In your estimate, what makes Rex Draconis more fun than Dragonlance? RAK: The world is more wide open, with a variety of storylines going on at once. While there is the Dragon Moon saga going on right now, other matters not concerned with that period of events are developing simultaneously. There is no one end. This is a fluid world where people can focus on varying aspects, not have to follow one particular storyline completely. EGG: Beyond this Kickstarter, what else are you working on? PB: The plan is to release two more adventures to round out the first trilogy, and at some point release a full setting supplement for Rex Draconis. 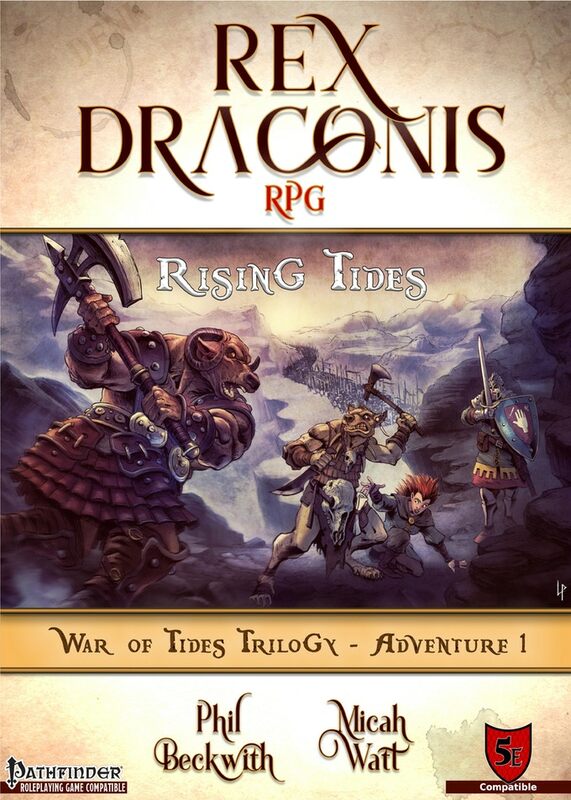 Right now though, we are 100% focused on this Rex Draconis RPG Rising Tides Kickstarter. RAK: After the second story, Lords of the Dragon Moon, the first full-length novel (well, to be fair, Lords is within novel length, but definitely shorter) will get underway. War of the Dragon Moon will feature characters and elements familiar from the other stories but add new ones. In addition, there’s another important novel, Of Dragon’s Blood, that will focus on a few particular characters and reveal the conflicts going on in some of the other kingdoms — which all tie together. The stories are being released in trade paperback from Hydra Publications, in autographed limited edition hardcovers through me, and in audio through Audible. There are some other ideas under consideration. EGG: Thank you again for taking the time to answer these questions. For fans interested in learning more about the Kickstarter and your other work, where can they go? MW: My personal contacts are Twitter @pyromaniacpress, Facebook www.facebook.com/pyromaniacpress/ and my website is http://www.pyromaniacpress.com. WRITER’S NOTE: Rex Draconis RPG – Rising Tides Kickstarter ends on Sunday, October 21, 2018, 10:02 PM EDT.